April 25, 2013 Categories catsLeave a Comment on Sacre bleu! 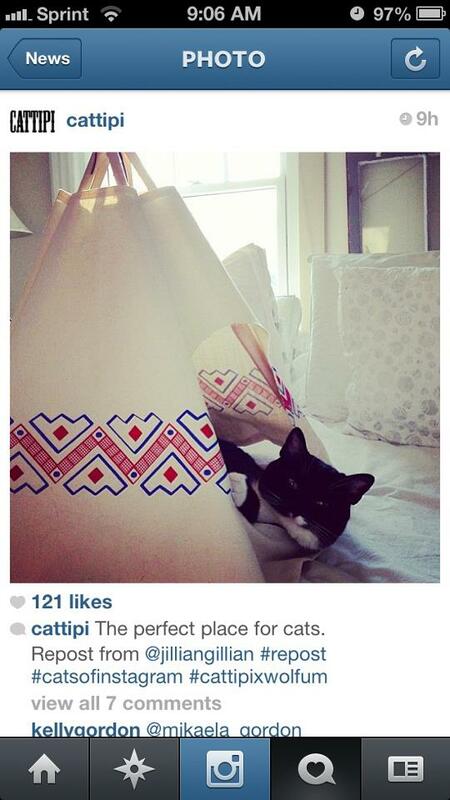 A week or so ago, I instagrammed a picture of Batman lounging happily in his tipi. Because let’s face it: he’s adorable. This is just the beginning of what we will one day refer to as “Batman’s Rise to Fame”. At the very least, the photo made me smile. I’m glad other people are enjoying my precious pet as much as I do!